Before we get to animating, we need to create the objects. An object in Flash can be anything ranging from a line to text to a polka dot. You can convert objects into buttons, graphics, and movie clips, but I will discuss that later in another tutorial. After pressing the Text Tool icon, click near the center of your movie area, and drag a rectangular shape. You will see a text field appear in the spot where you clicked. Enter the words "Flash MX". Press the Arrow Tool on the Tools panel after you entered the words. With the Arrow Tool selected, you are no longer in the Text mode. Select the Flash MX text you entered. You will see the Properties panel displayed below. Set the font to Verdana. Make the font size 25. Press the 'B' icon to make the text bold. Change the color on the text to a pale green. You have just completed creating the text. I think it is time we animated the text don't you? Now, we are ready to animate the text between frame 1 and frame 25. Select the keyframe on Frame 25. Notice that the Flash MX text is on the left of the window. Flash's job is to seamlessly make the text transition from the left side of the drawing area to the right side of the drawing area. Your timeline will now be shaded a purple color. Click anywhere on the timeline, and you will notice that your text is moving from the left to the right. You have just animated the text in Flash MX. Save the file now. Go to File | Publish Preview | HTML. 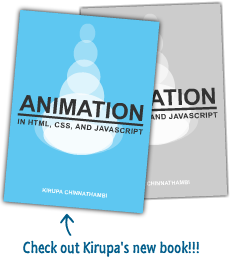 You will see the animation scrolling from left to right inside your browser. Wohoo!! We are still not done with this tutorial. We still have to add a background and use some layers. Click the Next page link to progress through the tutorial.